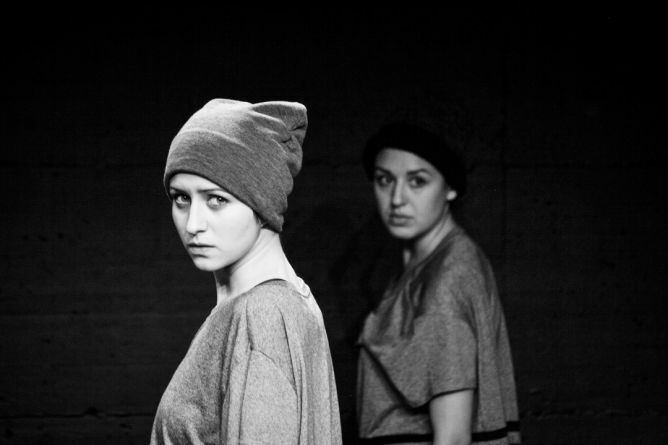 A Physical Theatre Performance of two young actress (Pl, CH), and an external eye of a french director. Dance, mime and object theater combined visual effects. To make it possible we need your help! We are Donia Sbika and Olga Domanska. 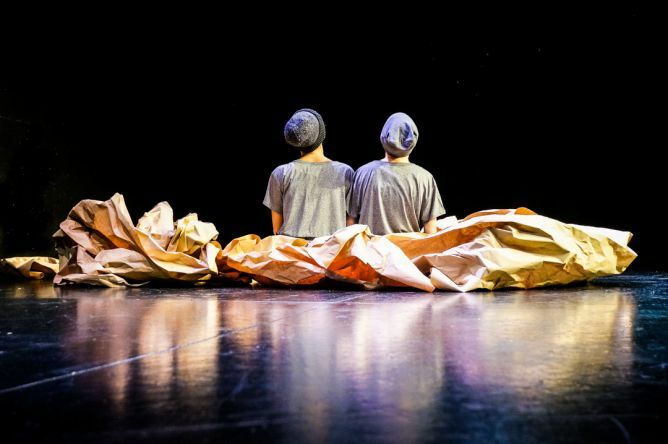 We want to create a physical theatre piece and bring it on stage in Switzerland and Europe. A piece where we can share with the audience questions and themes which do not leave us indefferent. Two Artists, two Women, two Friends: through the expression of our body we explore the relationships to ourselves and to the external world. Taking inspiration by the probably closest tie between two human beings: the twin relationship. Where is the border between attachment and dependency? The paralyzing fear of loneliness. and the fight for own individuality. We both want to contribute to the art of physical theatre and expand our research on it. As independent artists we try to find creative solutions, but nevertheless there are things we need to pay with money. rent theater and rehearsal spaces. 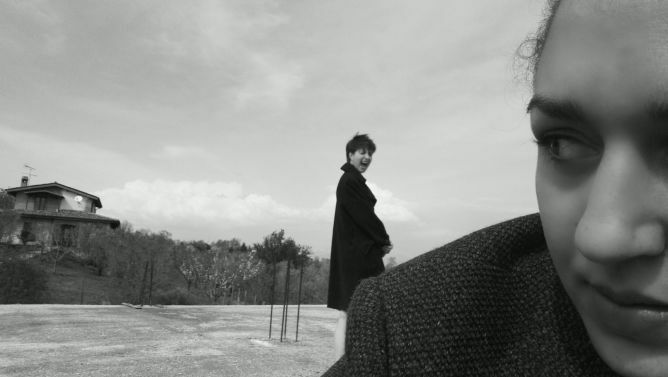 We rehearse at «Jobel Center» in Italy, «Warsaw Mime Center» in Poland, and «Theaterhaus Berlin Mitte» in Germany. …or write us an email with your question! …oder du schreibst uns direkt ein Email mit deiner Frage! This project ended successfully on 8/7/2016 15:00! You will recieve a virtual photo with a creative, personal dedication from our rehearsing period! We will send especially to you a unic, personal postcard with direct news from our rehearsing period! One free ticket will wait especially for you in the theater where you choose to see our show! You are invited for our show. After we will make a tour in the theater backstage with you and invite you for a nice Drink! Do you want to know where the best theater performances are happening? You will recive a personal program of the best theater and dance events for autumn and winter 2016! You will recive a personal poem or song, created specially for you, or your friend! Tell us what it should be about or do prefer like a surprise? You are invited for one of our rehearsals before the premiere in Biel. Lets enjoy a drink and a snack together! We are happy to offer to you a personal calendar for 2017 designed by us with the best program of concerts, theater and dance events! Of course you are invited to our show. Be fit! We offer you a Yoga Class or a deep muscle training for good posture! We might come to your house: so make some room! You and your friend are invited to our premiere! After the show we will have a drink with you and invite you for some nice Cake made by us! You and your friend are invited to our show! Before the show we will offer you a nice glass of wine and something small for dinner. We offer you a magic story evening! We come to you're house and make you be a child again: bring your friends and a lot of cushions! We are happy to offer you and you’re friends a workshop of 3 hours! What would you like to try – Pantomime/Dance/Theater Improvisation? You have a child or a grandchild ? We will come and make his Birthday Party magic and unforgettable! Be ready for a lot of fun! 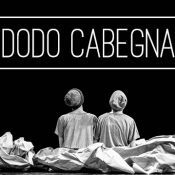 Founded in 2015 Compagnia Dodo Cabegna is expanding research on physical theater focusing on current and universal topics transforming them into a fusion of movement, dance, mime and object theater. The Company interest lies in combining the abstract with the concrete world.